If you have a family member, partner, or friend who has chosen to breastfeed, congratulations! This new mom has made a decision that will not only improve the lifelong health of the new baby in your lives, but one that improves her health as well. A new mom’s support system – partner, family members, and friends - can play an important role in your loved one's decision to breastfeed. How does what you say and the support you give impact that decision? 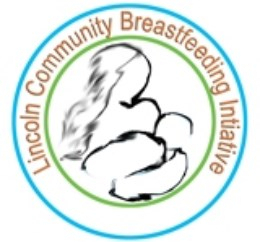 Local data from the two maternity care hospitals in Lincoln, reports that 91% of moms intend to breastfeed. 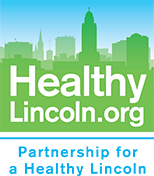 However, according to the 2014 Centers for Disease Control and Prevention (CDC) report card, only 46% of Nebraska infants were still breastfeeding at 6 months of age, and less than 26% were breastfeeding at 1 year of age. Further, the 2014 data from our two local WIC clinics shows about 87% of moms on WIC in Lancaster County were breastfeeding at 1 week, under 53% by 8 weeks, only 20% at 6 months and 11% at 1 year. That implies women who choose to breastfeed are not getting the support they need to reach their individual goals. In 2011, the US Surgeon General issued a national Call to Action to Support Breastfeeding. This report recommends widespread community efforts to create a supportive environment for new mothers in order to increase breastfeeding rates and improve the health of the nation. Because of the health benefits, the American Academy of Pediatrics and the American Academy of Family Physicians were joined in February 2016 by the American College of Obstetricians and Gynecologists in recommending babies be exclusively breastfed for the first 6 months, with continued breastfeeding as complementary foods are introduced through the infant’s first year of life or longer as mutually desired by mother and infant. Breastfeeding means healthier babies and fewer missed days of work. Since babies who are breastfeed are healthier, mothers who breastfeed miss less work to care for sick infants than mothers who feed their infants formula. For dads and partners, who take time off to care for sick infants, there are fewer missed workdays as well. For emergency caregivers including grandparents, other family members, and friends, that means fewer days caring for a child who is sick. When mom is breastfeeding, help her feel comfortable and relaxed. Praise her for breastfeeding, be proud. Take your baby to mom for breastfeeding. If mom needs something while she’s breastfeeding, offer to get it for her. Your support can make mom feel more comfortable about breastfeeding in public. In Nebraska, moms have a right to breastfeed their babies wherever they have the right to be. If there are other children in the home, take care of them while mom breastfeeds. Make time for just you and your baby. Babies need cuddles and hugs from their dads, too. Skin to skin contact helps babies and fathers bond. Researchers have found that newborns cry less and achieve a drowsy, contented state sooner when they are skin-to-skin with their dads as opposed to being in a bassinette. The father’s bare chest stabilizes the baby’s body temperature to a normal range, reduces newborn stress and helps keep the baby’s blood sugar within normal limits. Nebraska laws protect the right of breastfeeding mothers to safely, privately, and sanitarily express milk at the worksite. But partner support has a significant impact on a mother's decision to continue breastfeeding when returning to work. 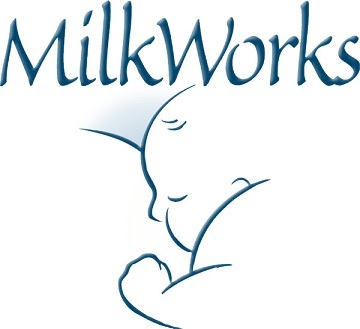 Studies have shown that a partner's initial support of the choice to breastfeed and encouragement to use the lactation room and milk expression breaks and the mother's perception of the partner's support for baby care were significant predictors of the intention to continue to breastfeed after returning to work. If your partner’s workplace offers an opportunity to be included in return-to-work breastfeeding education or activities, participate. These studies also suggest that partner’s inclusion in this workplace education can help improve workplace breastfeeding rates. It’s easy to support the decision of your loved one to breastfeed when you know the benefits! Breastfeeding is recommended by experts, including the American Academy of Pediatrics. Recent research shows that if 90% of families breastfed exclusively for 6 months, nearly 1,000 deaths among infants could be prevented. Benefits for baby include reduced risk of SIDS, ear infections, upper respiratory infections, childhood leukemia, obesity, diabetes, gastrointestinal issues, asthma and more. Benefits for mom include reduced risk of breast cancer, ovarian cancer, type II diabetes, and postpartum depression. Since babies who are breastfeed are healthier, mothers who breastfeed miss less work to care for sick infants than mothers who feed their infants formula. For emergency caregivers including grandparents, other family members, and friends, that means fewer days caring for a child who is sick. Encourage your loved one to continue breastfeeding even after returning to work. 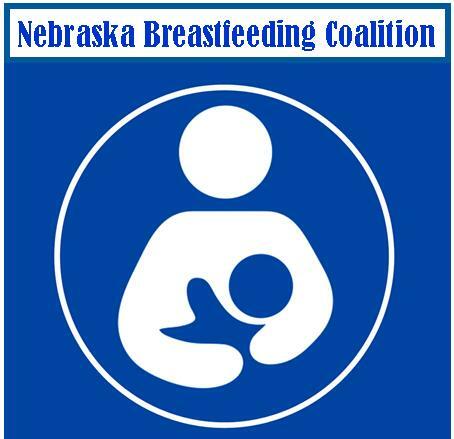 Nebraska laws protect the right of breastfeeding mothers to safely, privately, and sanitarily express milk at the worksite. Mothers need encouragement and support to breastfeed the recommended duration. Mom’s report one of the three significant challenges to breastfeeding for the recommended duration includes lack of family support and encouragement. 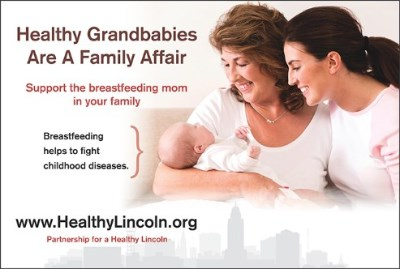 Recent local data from the two maternity care hospitals in Lincoln, reports that 91% of moms intend to breastfeed. However, according to the Centers for Disease Control and Prevention, only 46% of Nebraska infants were still breastfeeding at 6 months of age, and less than 26% were breastfeeding at 1 year of age. That implies women who choose to breastfeed are not getting the support they need to reach their individual goals. Praise mom’s choice to breastfeed. Encourage her if she gets discouraged. Encourage her to visit with her healthcare provider and/or a breastfeeding consultant if she has questions, concerns, or difficulties. Mom can find information if she experiences difficulties or pain with breastfeeding at this link. Your support can make mom feel more comfortable about breastfeeding in public.In Nebraska, moms have a right to breastfeed their babies wherever they have the right to be. Community Breastfeeding Educators - Through a joint collaboration with MilkWorks and the Asian Community and Cultural Center, culturally diverse mothers, trained as Community Breastfeeding Educators (CBEs), are available to provide peer to peer breastfeeding to mothers in their homes and communities in eight different languages, including Spanish, Arabic, Nuba, Burmese, Karenni, Vietnamese, Chinese and English. Click this link for a playlist that offers breastfeeding information in a choice of languages. For more contact information: Download a CBE brochure. Family Services – WIC - Family Services Women, Infants, and Children Nutrition Program provides free food, nutrition information, and breastfeeding support to help keep pregnant women, infants and children under five healthy and strong - for low to moderate income families. Breastfeeding FAQs - Answers to commonly asked questions.